Reseller hosting can be defined as that type of web hosting in which a web host buys a bulk plan from a hosting company. The web host then subdivides the bulk plan into smaller plans and then resells the smaller plans to individual users. The reseller can sell space and bandwidth from a rented dedicated server. Alternatively, the reseller can get permission to sell space and bandwidth from a shared server. This type of hosting is the most inexpensive method by which websites can be hosted on the Internet. Reseller hosting is all about affordability, flexibility, and reliability. It shows that each and every type or kind of website can easily work well if this hosting technique is incorporated. Its best feature is that it connects the clients with their web hosts and acts as a connector for them. Things are not too simple, when you are dealing with this hosting technique, as it requires some basic and clear knowledge of web hosting services before you actually take a start for hosting your own website. In case you are facing problems because you do not have enough time and budget to host your own website by controlling the servers and data centers, then you do not want to keep yourself in an unmanageable situation. Reseller web hosting can do all this on your part and you can make yourself satisfied with the results. With reseller hosting, you do not have the hassles that a web hosting service has, including the security aspects. All you need to worry about is the amount of space you want to allow your customers to have for their website. It is important that you take into account customer needs in order for your business to grow. 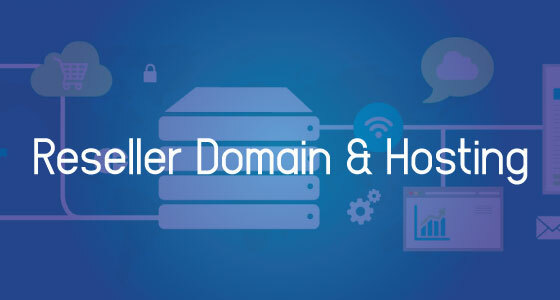 For those businesses who are already involved in the website industry, reseller hosting would be a great step up because you would have the experience that would help you create a reliable service. Finding the best reseller hosting service provider to help you set up your reseller hosting business is the first important step because they can be the key to your success. They must be reliable and not too expensive because you want to increase your profit. Reseller Hosting has never been so easy before. SoftClever Limited offers reseller hosting plans with so many features that you can start your own hosting business in few minutes. With any of our reseller hosting plans you get many free features like a free online site builder for you and your clients which has more than 750 ready to use professional website templates. Also, you get your own free private name servers. You can act as a separate business and no one will know about us. There will be separate control panel access to all hosting accounts that you create. You can create your own hosting plans which you can sell to your clients further. So what you are waiting for, hurry up and start your hosting business now. We provide Domain Registrar Reseller Account on all Shared and Reseller Hosting plans. With this account, you can register domains on your own. You can set your own pricing for all types of famous domain TLD’s like .com, .net, .org and lot more. You can further sell these domains to your clients.